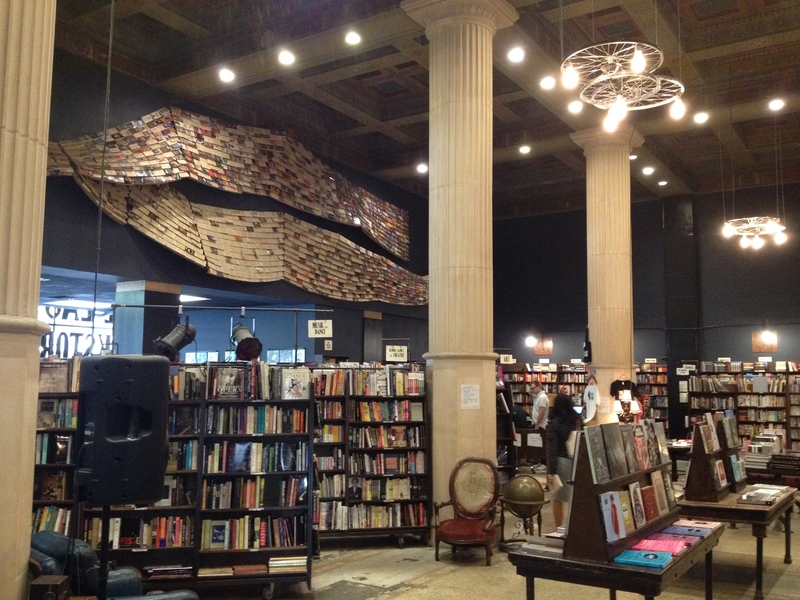 During my lunch break a few months ago, a co-worker and I walked to this lovely bookstore in Downtown LA called The Last Bookstore. I asked my co-worker why he didn’t tell me about this bookstore sooner because it’s amazing! They sell used, but decent books at cheap prices. I only spent $16 on three books including sales tax and the books seem new. They also sell new books as well, but at the retail price. I was seriously in heaven being there. 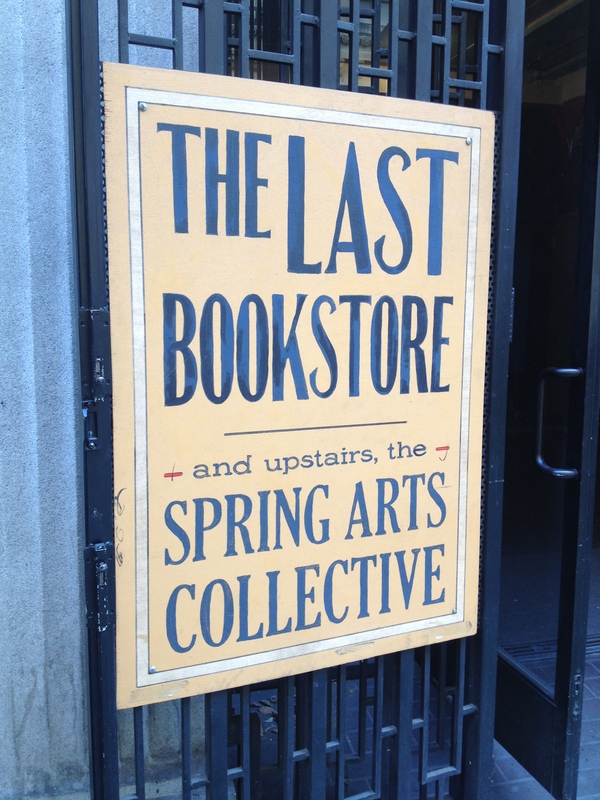 If you ever find yourself on Spring Street in Downtown LA be sure to check out this awesome bookstore. I know I’ll be visiting regularly. Do you have a bookstore you love visiting? That desk is AMAZING! 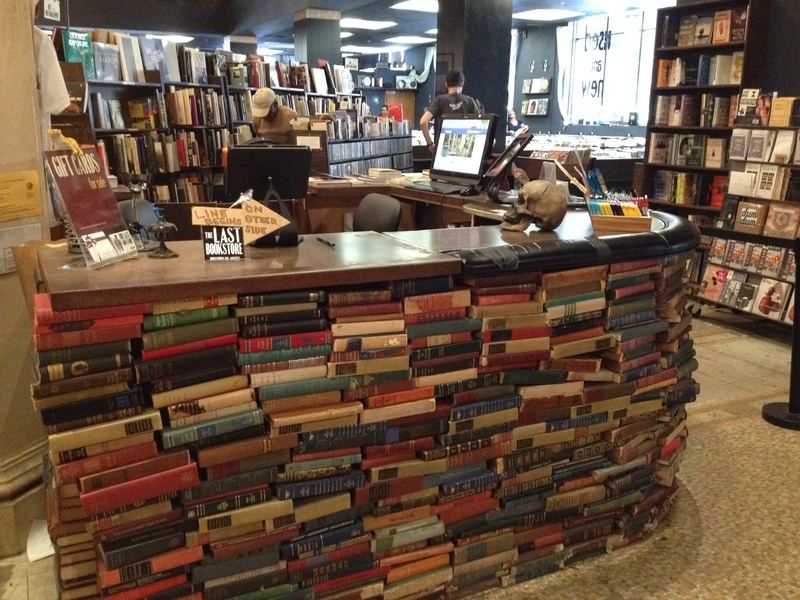 Every bookstore should have a desk like that. I’ll definitely keep an eye out for The Last Bookstore if I’m ever in LA!